At the age of six, He lit up his world and touched the lives of thousands. During his battle with the rare cancer Neuroblastoma , he helped raise more than £1m to help others. He struck up a friendship with the club’s star striker Jermain Defoe whom became his best friend. At an emotional press conference with his new club Bournemouth in Thursday, Defoe broke down in tears when he was asked about the special friendship he shared with Bradley. 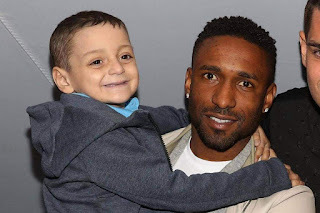 Although Bradley was a mascot for Sunderland several times last season he was able to unite different club supporters and thousands of football fans around the world. During games, the Supporters of different clubs made banners and chanted his name. His bravery was something amazing and his love for life and people was incredible for someone so young.